Introducing our Ahead day/shoe bag. 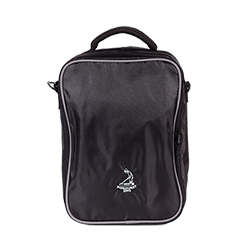 Features a front pocket and also a strap for easy-carrying. This bag comes in a mesh-like material that is wipeable for those nagging stains that may be obtained.